Deliberative democracy is an accessible form of dialogue. While other communication formats are often used to engage students in critical thinking, such as debate or focused discussions, deliberative dialogue is not competitive nor is it discussion primarily focused on acquiring knowledge. A deliberative forum provides participants with opportunity to reflect on reliable information about an issue and share their personal opinions. Trained neutral facilitators help participants express their thoughts and seek common ground with their forum friends, thus the unique opportunity to assist people move from personal opinion to some degree of collective judgment. Practice active listening and assertive speaking. Learn to facilitate and ask good questions. Explore the challenge of seeking common ground. Understand politics as an opportunity to be engaged in democracy. Deliberative democracy is a good resource for faculty. The old saying "You can't see the forest for the trees," when applied to faculty members, might indicate that we are so committed to the attraction of our respective disciplines that we might not take the time to appreciate the multiple perspectives of the "university forest." It is very easy to get caught up in our teaching and research especially when we have dedicated years to our field. Being aware of this tendency can make us better colleagues and co-creators of a rich learning culture. Deliberative inquiry and dialogue can be used in virtually every discipline and, even more, in cross-disciplinary learning. Assist faculty members in public deliberation course design. Incorporate deliberative dialogue content for established courses. Utilize deliberative methods for university planning. The National Issues Forums Institute is committed to helping K-16 educators help young people engage in deliberative dialogue. The video below provides an example of what can be done to engage students in vibrant civil discourse. While classroom forums are optimal for observing participation, there is an excellent NIF/Kettering Foundation online forum opportunity called Common Ground for Action. 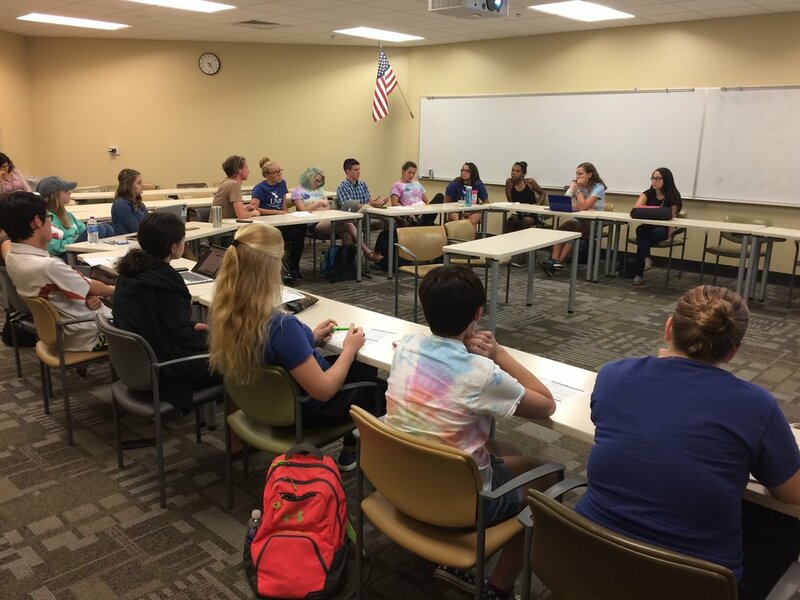 Sharing the results of school forums and making contributions to the NIF blog offer students and faculty to connect with other deliberative practitioners across the country.